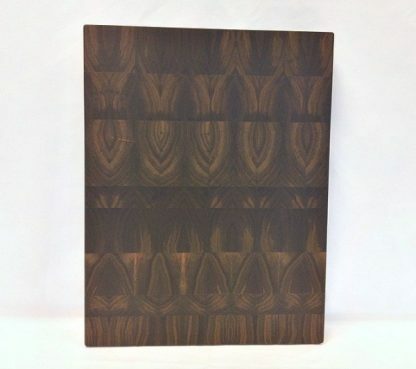 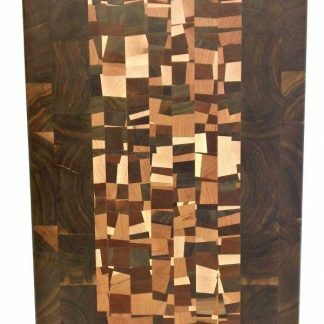 The rich, dark chocolate colors of our Walnut Butcher Block make this an American classic. It measures a handy 12″ wide and 16″ long, perfect for most kitchen tasks. 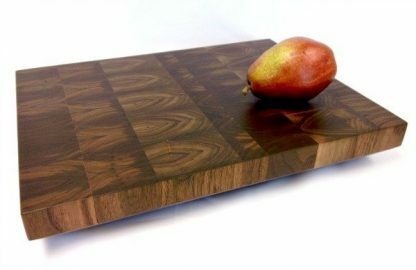 A hefty 2″ thick, we bevel the bottom edge for easy handling, use stainless steel screws to install silicone feet that keep it from sliding and finish it with a food grade blend of mineral oil and natural waxes. 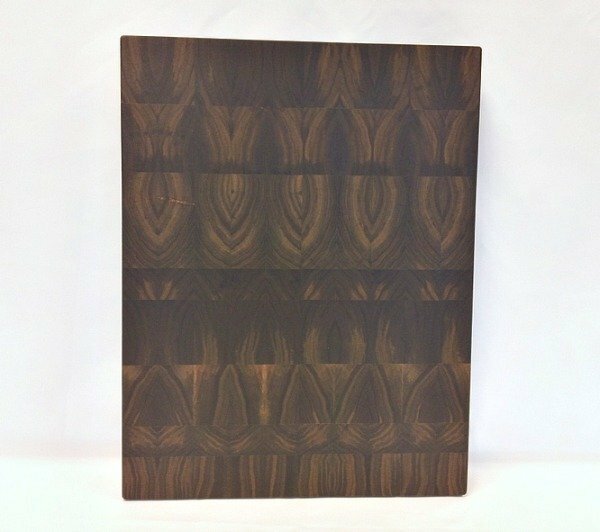 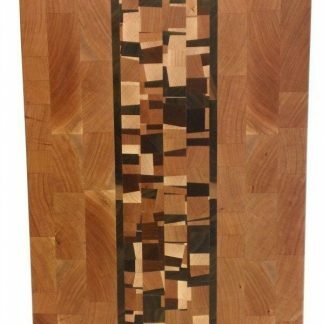 The dark color and subtle growth rings in our end grain walnut butcher blocks make them an attractive choice. 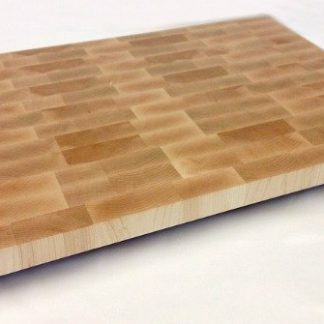 Long preferred by chefs around the world end grain butcher blocks are “knife friendly” and our design brings it into the modern kitchen with ease. 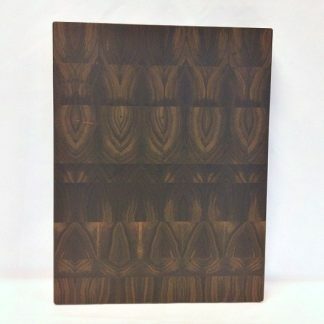 Engraving is included so you can personalize the front with a family name. 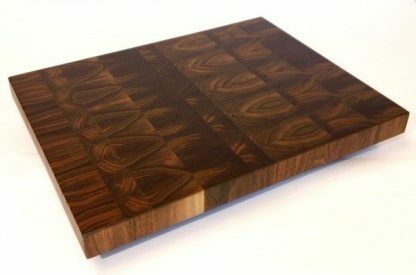 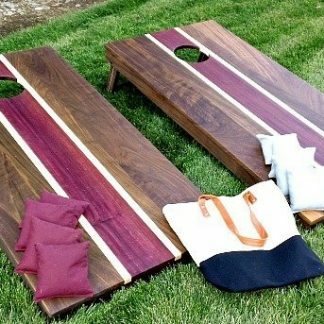 Add your logo, contact information and a personal message on the back to create an impressive client gift. 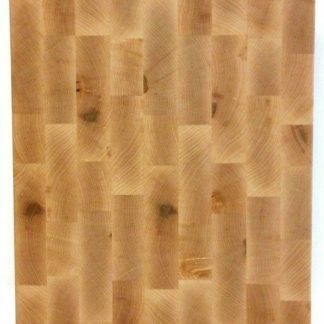 Block measures a handy 12″ wide and 16″ long, perfect for most kitchen tasks. 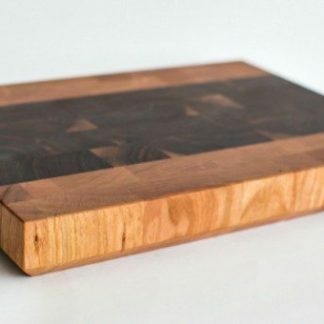 A hefty 2″ thick, we bevel the bottom edge for easy handling, use stainless steel screws to install silicone feet that keep it from sliding and finish it with a food grade blend of mineral oil and natural waxes.